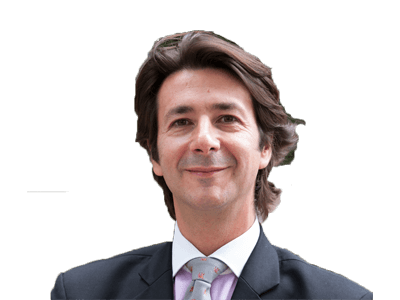 Ignacio D. Morillas-Paredes is a dual qualified Spanish lawyer and English solicitor who moved to the UK in 1999. He is a Partner at Colman Coyle and heads the Spanish – Latin American Desk. Ever since he has been dealing with English law particularly in ADR, litigation, international arbitration and class action cases. He also assists international clients in setting up in business in the UK in a wide range of issues such as commercial leases, employment, insolvency or corporate commercial issues. He is a member of several international organisations and is a Committee member of the Board of the Spanish Chamber of Commerce in the UK. Ignacio is also a founder of the Spanish Dinner Club in London and an avid fundraiser/supporter of different charity organisations, such as Barnardo’s, International Red Cross and particularly Centro Social de Mayores Miguel de Cervantes (link below). The Spanish financial newspaper Expansion named him as one of the 50 people that one should know in the City. Ignacio is regularly invited to conferences as a speaker and features on Spanish TV, newspapers and radio programs in relation to English legal issues or Brexit related matters. Ignacio D. Morillas-Paredes tiene la doble cualificación Abogado Español y Solicitor Ingles se traslado al Reino Unido en 1999. Es Socio del despacho Colman Coyle y es responsable del Spanish & Latin American desk. Desde su llegada ha tratado siempre temas relacionados con legislación Inglesa y particularmente, Resolución Alternativa de Conflictos, Procesal, Arbitraje Internacional o Demandas en Masa. Asesora a clientes internacionales a establecerse en esta jurisdicción, desde la adopción de la forma jurídica correcta, contratos de locales comerciales de alquiler o compra, contratos laborales o cuestiones Societarias y Corporativas. Es miembro de varias organizaciones Internacionales y parte del Comité ejecutivo de la Cámara de Comercio de España en el Reino Unido. Ignacio es invitado con regularidad como ponente a conferencias, entrevistado en la TV, periódicos y programas de radio en conexión con temas de legislación Inglesa o relacionados con el Brexit. The Dispute Resolution Team successfully challenged the jurisdiction of a claim brought in the High Court against a Spanish company by a UK based company. Ongoing property advice to a Spanish Government Institution. Including previously advising them on the sale of a prestigious institute building in Belgravia, London. The sale of the £15m building involved creating a bidding process not only to secure the best price but to ensure compliance with Spanish law. Advising Spanish jewellery retailer on their UK expansion, most recently through securing shop premise in the prestigious Westfield shopping mall. Advising a well known Spanish bakery chain on their UK expansion including commercial property advice. They have plans to open 60 stores in London over the next 3 years. Acting for various large Spanish clothing companies in connection with employment law contracts. Acting for a retailer of Spanish ham products, to deal with retail premises. Acting for various Spanish SMEs on cases concerning company matters, ranging from company formations to shareholder agreements.